If you have a Hobie and you haven´t stopped by Megrew´s Boats - you are in for a real treat. 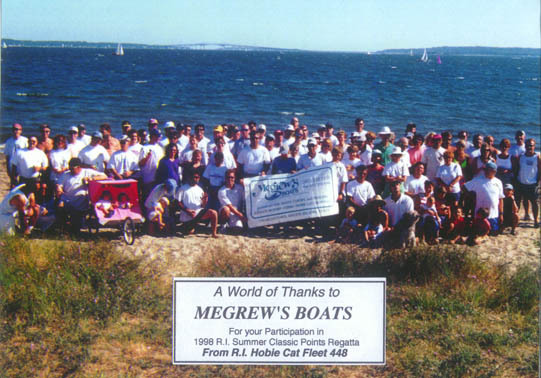 An official Hobie Dealer for more than 45 years, Megrew´s is the hub of Hobie activity in New England. 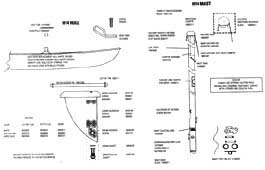 Servicing most of the Hobie owners in Southern New England with the Hobie parts they need - Megrew´s Boats caters to new boats and new used boats and parts and accessories. Whatever your interest level in Hobies, Megrew'´s Boats will have something for you. 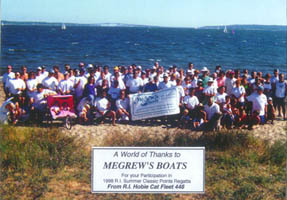 Megrew´s Boats is a sponsor of Rhode Island Hobie Fleet 448. 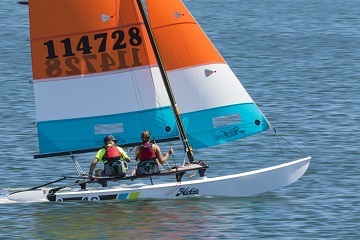 "Fleet 448 is the largest catamaran sailing club in Division 12, which includes all of New England and some of New York. We host regular events throughout the summer; (some racing, some just for fun). Our membership includes many different types of people but the one thing we all have in common is that everyone of us enjoys sailing and having a good time. Sailing is Fun, and catamaran sailing is Really Fun. You owe it to yourself to give it a try." 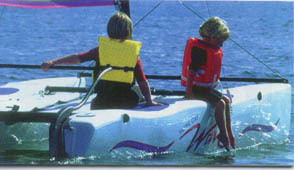 Megrew´s Boats is an extensive supply store for Hobie parts. 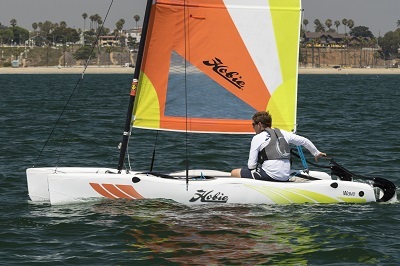 We stock plenty of Hobie gear, both new and used, and if it isn´t in stock we can have the part you need in a couple of days. We offer shipping every day with an average one day delivery within New England. We are committed to servicing our Hobie owners with the attention to detail they require.